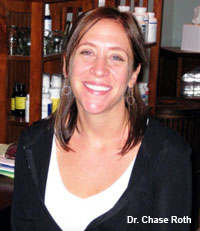 Jennifer Viola has been a licensed Massage Therapist in Louisville, Kentucky for 14 years. She is a member of the AMTA and graduate of the All Hawaiian School of Massage Therapy in Honolulu Hawaii. 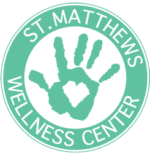 Jennifer has an extensive background in therapeutic massage, Thai Yoga Massage, Cranio-Sacral Therapy, La Stone Massage, and Reflexology as well as pregnancy, sports, and deep tissue massage. Jennifer blends traditional Swedish relaxation, neuromuscular and deep tissue massage along with trigger point therapy and myofascial techniques for injury and rehabilitation. Dr. Chase Roth graduated from Bastyr University in June of 2002 receiving a Doctorate of Naturopathic Medicine and from the Northwest Institute of Acupuncture and Oriental Medicine in June 2003 receiving a Master of Science in Acupuncture. Dr. Roth is licensed as a naturopathic physician by the state of Vermont and a certified acupuncturist in Kentucky. After graduation Dr. Roth was fortunate to work at a naturopathic family medicine clinic focused on using innovative natural medicine techniques to treat persons with cancer and other chronic diseases. She has also completed the Institute of Women’s Health training in Women's Cancers. While an acupuncture student, she also received specialized training in working with persons with chronic fatigue syndrome and fibromyalgia. With degrees in naturopathic medicine and acupuncture as well as her training and clinical experience working with persons with chronic disease, Dr. Roth is able to blend her knowledge of and experiences with scientific natural medicine and acupuncture to effectively improve the health of her clients.